For the 50 year old who can't get enough of America's greatest pastime, give the gift of baseball all the time. 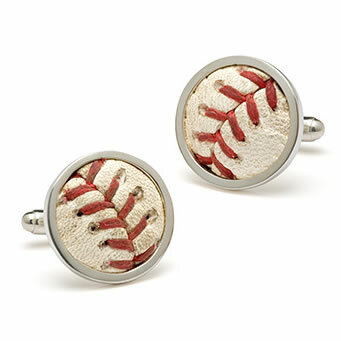 With these cufflinks, made from Major League Baseball authentic game-used balls, your fanatic can keep his passion close at hand even when he is all suited up. Set in sterling silver and made by Tokens and Icons, of Berkley California.